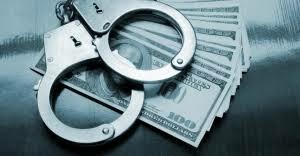 The issues that compliance officers at North American banks, and US & Canadian immigration officers, have with holders of Citizenship by Investment (CBI) passports have been reported in the financial press of late, but there is a more serious problem that the five East Cabibbesn CBI states are facing: the threat of criminal prosecution, by the US Department of Justice, for violations of money laundering laws by government leaders, notwithstanding that they operate these probems outside the Unted States. The problems the EC states have is that US money laundering laws confer what is known as extraterritorial jurisdiction upon foreign nationals, and this is occurring because the Caribbean attorneys who created CBI legislation committed what some legal experts regard as a fatal error: they adopted provisions in their CBI laws that allowed CBI program managers to accept US Dollars (USD$) as payment for their economic citizenships. That has has been judged to be a major error. Why is this now actually considered legal malpractice ? Any attorney drafting legislation in his country should be aware of the possbility that the laws he is creating might increase specific risks in other jurisdictions, and carefully weigh the potential consequences with his client before recommending that they be enacted into law. In this case, most attorneys in the Caribbean are aware of the Money Laundering Control Act of 1986 (18 USC §§1956-1957), which imposes a maximum penalty of twenty years for violations, plus a mega-fine. The lawyers drafting CBI legislation ibn the East Caribbean failed to research that statute in depth, for if they had they would have learned that it has extraterritorial jurisdiction. This means that a foreign national could be charged if the US Dollars they accept, for any purpose, are the proceeds of what are referred to Specified Unlawful Activities, and any portion of the transaction has a connection (nexus) with the United States, such as being deposited in a US bank, or transiting the American financial system. The MLCA, which was strengthened by the USA PATRIOT Act of 2001, will reach out and touch foreign nationals (e.g Reza Zarrab), for acts that they committed totally outside the USA. Therefore, any dodgy applicant, using criminal proceeds for his cash to purchase that CBI passport, which is later deposited in a dollar account, and ends up passing into, or through, a US financial institution, has implicated not only himself, but the CBI program, and the country's leadership, as well, under US law. We doubt that the Caribbean attorneys tasked with drafting their local CBI laws even bothered to look at the possible negative consequences of accepting US currency. They probably used the pioneering St Kitts & Nevis CBI program as a template. Unfortunately, that program became law back in 1984, two years before money laundering became a federal crime. Why didn't someone realize that using US Dollars might have consequences ? Should the CBI program directors, and their attorneys, have chosen the Pound Sterling, instead of the US Dollar ? Probably so, given the extraterritoriality issue, as well as the fact that the USA has very broad conspiracy laws, unlike the UK, which adds to the undesireability of accepting US Dollars, unless you are completely sure of the Source of Funds, and of your applicant's bona fides. We understand that the leaders of a number of the East Caribbean CBI states are feeling anxious of late; are they feeling a cold chill, perhaps coming from the possibility that the US Department of Justice might be investigating them ?